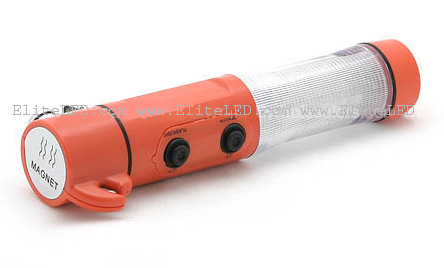 • LED Flashlight: Built in 3 super bright white LEDs. • LED Beacon: Built in 15 red LEDs in 360 degrees to warn or attract attention. • Precisely machined steel hammer heads, specifically designed to break a side window. • The razor sharp safety blade easily cuts through a jammed seat belt. • Magnetic base to secure the light on your vehicle.